Article Highlight: From Where Did the Word Blog Come? YourDictionary.com defines a blog as "a journal or diary written for public viewing on a website and consisting typically of personal reflections, commentary on current events, etc. arranged chronologically." So, a person who writes this journal is considered a blogger and the act of creating and updating the blog is known as blogging. Everyone seems to be doing it these days. Bloggers write about everything and anything. 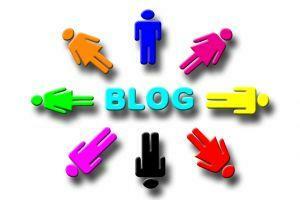 Some create blogs to share personal viewpoints or updates while others focus on business, political, or social topics. Like everything else on the Internet, there are good blogs and bad blogs. Good blogs are frequently updated, have useful information and can direct you to similar blogs. Bad blogs contain inappropriate material, spam and are only out there to make a few bucks. Bookmark your favorite blogs or subscribe through a feed so that you'll always know when they're updated.